Is this the first time in about 20 years that there is no event? As Martin highlights above from our newsletter the weekend is still on but it's going to be very different this year. SHQ is going to Sandy Point to go windsurfing - come with us! We sat back and had a think about what the weekend was all about and decided that really it should be about just having fun on the water with a whole bunch of other windsurfers. Every year that is basically what everyone does - they just sail and enjoy themselves. 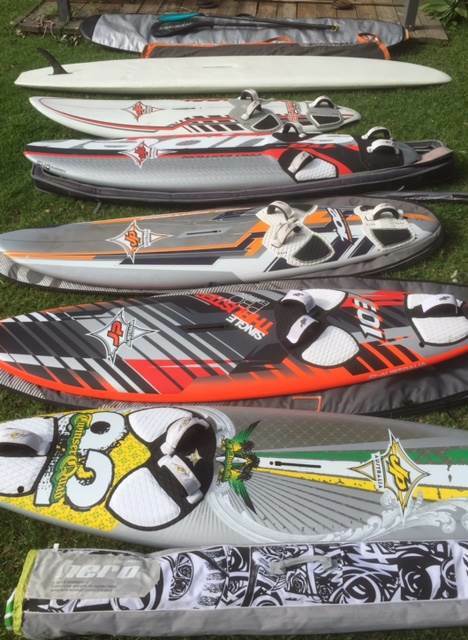 Although we always have a few sign up for the events when the time comes to actually run them most people are too busy having fun on the water to come in and take part. Then we're so busy running around trying to co-ordinate events that we don't actually get to sail with everyone. At the end of the day the significant and continually increasing cost and effort both in the lead up to the event and during the event itself simply doesn't make sense. We're going to try getting back to basics this year - back to where it all began - back to a bunch of like minded people heading to an awesome location to just have fun and go sailing together. 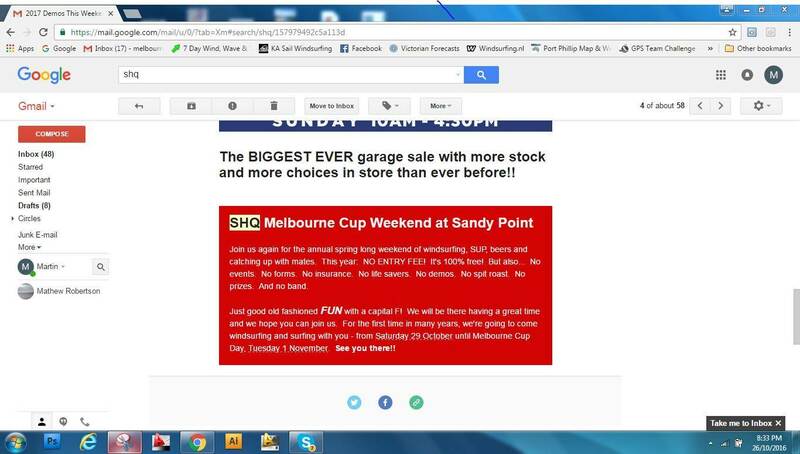 If any of the windsurfing clubs want to run a competition over the Sandy Point SHQ Melbourne Cup long weekend then we'll sponsor it for sure but this year we won't be running it we'll be sailing. So our team will all be there. We'll be super keen to chat to everyone and sail with everyone, to give tips and get tips, to talk about kit and to just immerse ourselves in the windsurfing wonderland that mother nature has provided at Sandy Point. We're just going to have fun and hopefully there are a bunch of other windsurfers and SUPers out there having fun with us. See you on the weekend! Conditions look good for the weekend but sadly I'm not going to make it - but that means my house is available to rent if anyone is still looking for somewhere to stay for the weekend. Packing for the Long Weekend at Sandy Point See you at the Inlet ! Looks like Sunday might be the better option?